This is another important objective which the planners try to pursue. This objective assumes importance in countries which have been left behind in the race of industrialization. South America had this objective before it while framing its development plans. India also aimed at rapid industrialization in the Second Plan. 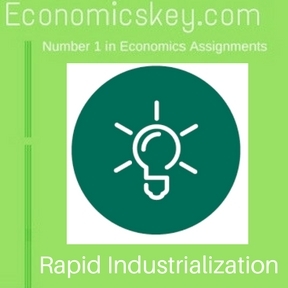 It is realized that industrialization makes more significant contribution to the raising of national income and to the solution of the problem of unemployment. Few countries can become prosperous by merely confining themselves to agriculture as India has been doing in the past. Economies predominantly agricultural are bound to remain backward. Rapid industrialization is, therefore, a very desirable aim of planning. It is sometimes found that the economic development in a country is lopsided. for instance. 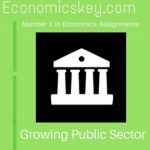 an economy may be predominantly agricultural. In India. nearly three fourths of the people are engaged in agriculture. whereas nearly one-tenth pursue industry. This is an example of unbalanced economy. To lend stability to the economy. it becomes essential first to reduce this imbalance. The planning authority cannot ignore this aspect of development. That perhaps may be possibly for countries like the U.S.A. and European countries which arc economically well advanced and they have not much to seek now. But the under-developed countries suffer from several shortcomings and the planners must pay attention to various important objectives simultaneously. Their plans arc generally mulch objective. However. lest the effort should get diffused, it is necessary to confine to a few principal objectives at one time. choosing those which may be felt to be most essential in the context of the economic situation prevailing at the time. Let us now have some idea about planning techniques or methodology. The first step that the planners take is to lay down the broad objectives of the plan. As we have said before. the choice of objectives depends on the economic situation that the country may be racing. The next step IS to fix the size of the plan or to determine investment. Growth models are now available with the help of which it is possible to arrive at the investment figure. 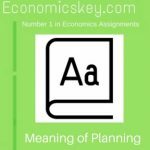 The planners make use or the concept of the capital-output ratio or capital co-efficient as the necessary tool. 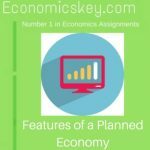 This tool is used to ascertain how much capital would be needed to secure a given unit of increase in income. For instance. if in a country capital-output ratio .It will mean that an investment will add to national income .The capital-output ratio is ascertained by means of a careful study of the industrial situation. 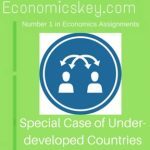 It is generally considered desirable that under-developed countries. intent on rapid economic development. must be prepared to invest 15 per cent of the national income. According to Prof. Rostov, a rise of investment from 5 to 10 per cent of national income is essential to enable a country to reach the ‘takeoff’ stage. Since, however. These countries are poor and having low living standards. the investment ratio cannot be very high if hardship is to be avoided. Thus. low saving-income ratio acts as a limiting factor on economic growth. 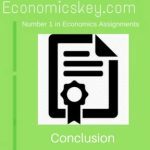 On the basis of the capital output ratio and considering the percentage increase in national income aimed at, it is possible to-work out the aggregate investment required. We have now reached the image in the process of planning. The broad . es have been laid down. the size of the plan has n fixed, financial resources immobilize, priorities determined and targets fixed. Now administrative machinist be created to carry out the plan with faith and gourd, Even a good plan may come to bought ale competent and efficient administration is there to Imp cement it There should also be provision for supervision and reassessment or evaluation of the work done. In the Soviet Union, the Angolan acts as the watch .The Planning Commission in India has set up the programmer evaluation organisation for community projects. 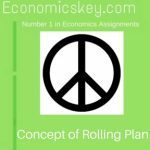 But what is needed is that the work of the entire plan should be evaluated.